Over the past few months, I have been sharing with you various printables to help you organize, manage and stay on track of your daily, weekly, monthly and annual cleaning tasks. While I think it’s incredibly important to have routines in place to clean your home, you also need to have some cleaning tools too! 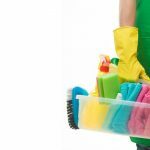 While I try to keep gadgets to a minimum around the house, especially in the kitchen, there are just some cleaning tools that you need to have on hand to clean all areas of your home. Today I’m sharing 15 of the BEST cleaning tools that I personally use on a daily, weekly or monthly basis. As a side note, while I am linking to Amazon to show you these products, most of these can be found cheaper at either Wal-Mart or Target especially if you stack a sale with a coupon. With that being said, these are affiliate links below meaning that if you click through and make a purchase, I receive a small commission. You can read my disclosure policy here. Thank you for supporting Creative Home Keeper. 80% of my home is either hardwood floors or tile and the other 20% is carpet. In fact, our entire main living area, including our bedrooms is hardwood. While only the basement and upstairs bedrooms (which we don’t use yet since my kids are so young) are carpeted. Which means that I hardly spend any time vacuuming carpet and spend a LOT of time sweeping hardwood floors. While I love the beauty and ease of hardwood floors, I don’t love that they show every piece of dust, dog hair, water spot or crumbs. In fact, I almost hate the early morning sun that shines in because it highlights ALL the dust. While a broom and a dustpan are great at picking up the dirt and crumbs and a dust mop is great at getting the dust and dog hair, I need something that does both, without having to drag out the vacuum cleaner every day. Enter the Swiffer Sweep & Trap. This thing is amazing! It picks up most of those crumbs, dirt, hair and dust in one quick sweep. Plus it’s quiet which means I can quickly sweep the floor while the kids are asleep. The one negative is that it does require those disposable dust cloths which can be both expensive and not exactly environmentally friendly. But I have had some luck in attaching a thin washable microfiber cloth. Thanks to my kids spilling Cheerios all over the floor I use a hand-held broom and dustpan daily hourly. It helps pick up those loose pieces that my Swiffer Sweep & Trap misses, plus it’s great at picking up those hard to get crumbs under the kitchen table. Between this and my Swiffer, I have absolutely no need for a traditional broom anymore, except for garage and patio cleaning. As I mentioned above, since 80% of my home’s floors are solid surfaces you can bet that I spend a lot of time mopping! A spray mop makes it so much easier to mop, plus it’s incredibly handy to always have a mop ready to go whenever you have a spill or small mess. I like to make my own cleaning solutions for both my hardwood and tile floors and on the Rubbermaid Reveal Microfiber Spray Mop you can easily swap out the cleaner bottles and replace the cleaning pads. In fact, I have an extra cleaning pad and an extra bottle that make it super easy to switch from my hardwood floor cleaner to my tile cleaner. These little erasers are like rock stars! They seriously clean everything! From scuff marks on the floors, stains on the counters, soap scum in the shower, burn marks on the stove top and sticky glue on glasses, these remove all marks. I am seriously in love with my magic erasers, I always have some handy. They definitely are not the most “green” cleaning product around but for how well they work (they are also cheap, you can usually get them with a sale and coupon) they are high on my cleaning must-have list. If you have lots of hardwood floors, like I do, then a large, quality dust mop is a must-have! 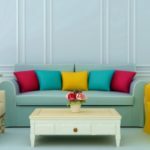 This is a better option if you are more of a minimalist and don’t want to mess with a Swiffer. You’ll still have to vacuum or sweep up the crumbs and dirt, but these do a great job at getting all the dust. I have a Rubbermaid Reveal Mop Dry Dusting Cleaning Pad that I can easily attach to my spray mop. It’s not as large as a traditional dust mop head, but it does the job. I firmly believe that a scrub brush with a grip handle is worth the small investment. I’ve used the cheaper scrub brushes without the grip handle many times before but I was always loosing the grip as the handle got wet. With a gripper, I never loose traction and I believe it’s easier to hold. Scrub brushes are great at cleaning the floor and walls of your bathtub or shower, sink and grout on the tile floors. I like a medium size one that can easily fit into most spaces and clean those hard to reach corners. As part of my morning routine, once I finish taking a shower I quickly spray down the walls and use a squeegee to wipe off the excess water. This helps me to keep the shower clean so soap scum doesn’t build up and I’m not having to clean as hard later. I leave my squeegee in the shower so it is always within reach. Using a squeegee to clean windows and mirrors is also very effective at getting rid of smudges, marks and build ups. The only thing I use to clean my furniture is a hand-held duster. Occasionally if I notice water rings or other mysterious marks, then I’ll use a damp cloth to scrub. I’m sure there is probably a pool of germs and bacteria resting on our end tables but I like to think that I am building up our immune systems. Once a week I pull out the vacuum and give the floors a more thorough sweep. Our vacuum has a bare floor setting that is really great at sucking up all the pieces of dirt and crumbs. I also use the tools to vacuum under the couches and beds and in the seat cushions. As part of my annual cleaning tasks, I vacuum the carpet upstairs and in the basement since we don’t use those rooms frequently enough to need to vacuum every week. Currently, I’m LOVING my cordless vacuum! It’s awesome. You can read my full review here. I used to use old rags to do my cleaning until I discovered the cleaning power of microfiber cloths. They are a workhorse at getting all the grime and scum up off the solid surfaces. I have since thrown all my rags away and have invested in some microfiber cloths. I also keep hearing about how great Norwex cloths and it is on my wish list to get a set in the future. While I am a huge fan of the dishwasher, I love using a dish brush (especially one that has a soap dispenser attached) to scrub off the cooked on food messes. Dish brushes are also great at scrubbing your pans that have been soaking for a while to help remove the food particles. I also use our old bottle brush to clean inside our smaller cups and water bottles too. I love that vinegar is a multi-purpose cleaning and household power horse. I use vinegar in my cooking, cleaning, laundry and beauty routines on a daily basis. Most of my DIY natural cleaners involve using vinegar. Plus I love how frugal it is too! I buy a large jug at Costco for a few dollars that lasts for months. Baking soda is another staple that I use throughout the home as well. It’s a great odor neutralizer, scrubber, cleaning tool and baking agent that is multi-tasking and powerful. Plus it’s also super frugal too. I also buy this in bulk at Costco. A huge bag of this lasts for years! While a little more expensive than vinegar or baking soda, castile soap is the standard in natural cleaning products. I love using this in my DIY cleaning solutions, as well as using it as a body wash too. I’m still a newbie when it comes to learning about and using essential oils, but I’m quickly learning about just how valuable and useful these are in cleaning and homeopathic health remedies. I do make most of my own cleaning products for several reasons. The main being that since I like to use more natural products free from potentially harmful chemicals, it’s cheaper to make my own. On my Natural Homemade Cleaning Pinterest board, I have links to several different DIY cleaning tutorials and recipes. Follow Victoria @ Creative Home Keeper’s board Natural, homemade cleaners and tips on Pinterest. What are your favorite cleaning tools that you use? Stopping by from Bloggers Brag party. I really love my microfiber cleaning cloths! They are great for any cleaning task! Thanks for sharing your BEST cleaning tools. Have you ever tried a Shark Steam Mop? I love mine. Fantastic Cleaning tool tips!! I’m stopping by from GTTuesday. I am a very “green” person, but I think the Magic Eraser is a fine product, because you can keep using the same one for a long time before it wears out. I buy a 2-pack once a year or less and don’t use them for just anything–only for the things that don’t yield to standard cleaning, like the mysteriously tough grime that slowly forms around light switches. A few years ago there was some outcry about the Magic Eraser being dangerous, which led a lot of people to think that it contains some kind of scary chemicals, but the fact is that the risk is in its special level of abrasiveness: It doesn’t feel all that scratchy, so it can take off your skin without you realizing! Wear gloves when using it, and never use it to clean people. Thanks for the mop recommendations. We are looking for something more effective for routine cleaning of our hardwood floors. Thank you!! I love my Swiffer, my microfiber cloths and my squeegee. I guess I am on track!! Fun and informative post!! A very nice list of the best cleaning tools. 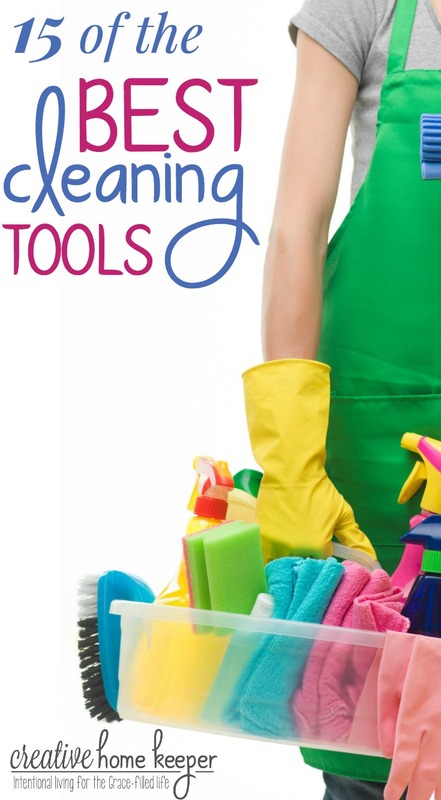 These tools are such a great to use for cleaning to make it more easy, fast and effective. 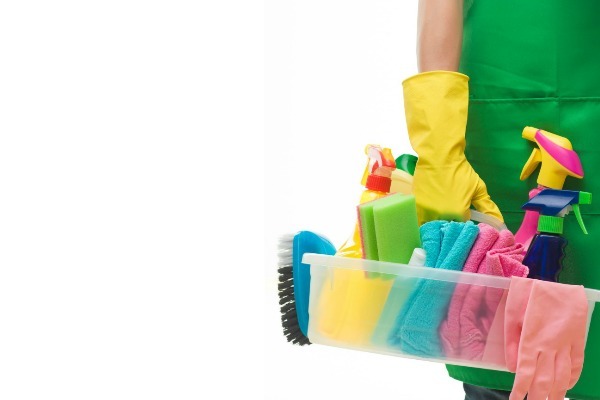 Many of these tools are used by people in their daily home cleaning for beautiful home. What a great list of cleaning supplies. We are making due with the bare minimum, but I’m definitely trying to find some alternatives to the harsh cleaners. Thanks for putting this together! I have hardwood downstairs, about 1200 square feet, and I use a Shark sonic due floor cleaner. I love it. Scrubs my floor with a microfiber cloth at a fast speed. It can also scrub carpets but I have not used it for that yet. Hey! 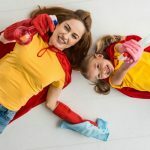 I just stumbled upon your site after being linked here by Money Saving Mom. I am a Norwex Consultant, and have been for the last 3.5 years. I would be happy to hook you up with a set of the Basic Cleaning Package (a microfiber cloth and polishing cloth). Send me a message and I will gladly send you one out. Maybe you could review it? As a professional cleaner I absolutely agree with you! Some of these tools are also my personal favorites and I can’t do my work without them. Thumbs up for the post! 🙂 Greetings, Carpet Cleaning South Kensington Ltd.! Tweet it! 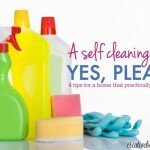 love it…I know what a helpful post as I do clean myself to shine my house. Some of tools is my common household. Thanks for sharing nice tips also. Thanks for discussing your BEST washing resources. I’m glad for your reply Victoria. I’m looking for cleaning tips. Like the “Hand Duster” I think it’s effective for cleaning job. I use some of the same products. I like the microfiber cloths and I am still sometimes dusting with a chemical for wood and glass, Swiffer, hand duster, I get a new vacuum when I take the current one in and they say junk it. I have heard so much about white vinegar, I have to get some, also baking soda. I like my house to smell clean and nice so I use Glade plug-ins and Scentsy. You can get holders of all types: casual, fancy. they light up so it gives the room a nice glow and it has many different scents to choose from. You make a good point about the ease of use of a spray mop. Mixing in your own products is a very tactical step as well. And the right essential oil may also provide a natural preservative. I just added Castile Soap to my list. I am trying to consider the all natural products(green cleaning products) in our house and I really like it! What are your suggestions in choosing essential oils? I have been having hard time picking the right one! Thank you for shairng your list. Your home must be nice and tidy. I like to use baking soda and vinegar to clean my tile floor. Have a blessed day.